Benissa, a rural community of the Costa Blanca located half-way between Moraira and the well-known resort of Calpe, offers detached properties, cottages and villas with sea view, often on large plots, as well as restored (or sometimes to be restored) “fincas” (countryside houses), and plots of land. 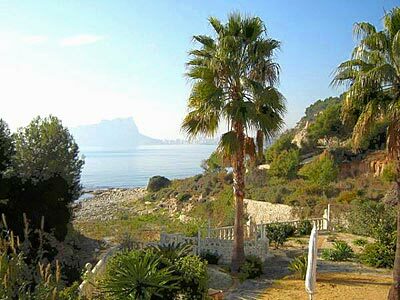 Many of these Costa Blanca properties offer an impressive panoramic view and sea views. And the Jalon Valley is located on the hinterland of Benissa, a quiet and calm area that lives to the rhythm of nature among the vineyards and almond trees. Buying a Costa Blanca property in Benissa with INSERT means that you buy your property with peace of mind: we safely settle all the formalities for and with you. INSERT, property agent in Benissa, Costa Blanca. Last updated: March 21st, 2019. For further details, simply click on the photo of any property that interests you.